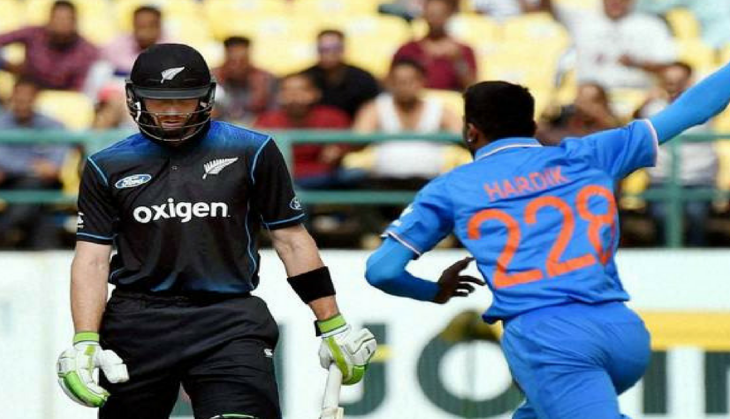 The third match of T20I series was held at the Green Field International ground in Thiruvananthapuram between India and New Zealand on 7th November. The match was hosted by Kerala Cricket Association (KCA). However, the match was reduced to 8 overs due to rains throughout the day. According to the norms of cricket, both team are supposed to stand for their national anthems. But the fans and cricketers were left in shock when the national anthem did not took place during decider match and match started after the conclusion of the toss. Whereas, on asking why the national anthems were not played, the ground authority replied that they “forgot” to do so. “Yes, that was a mistake on our part. We were all there on the ground and in a hurry to start the match after rains. We forgot to play the national anthem. It’s a serious lapse on our part and I apologise (to the nation). It will never happen again,” secretary of KCA Jayesh George admitted to Deccan Chronicle. He also said that they have also invited the ex players including tainted bowler Sreesanth. India pipped New Zealand by six runs in the rain-hit third T20I to claim the series 2-1.